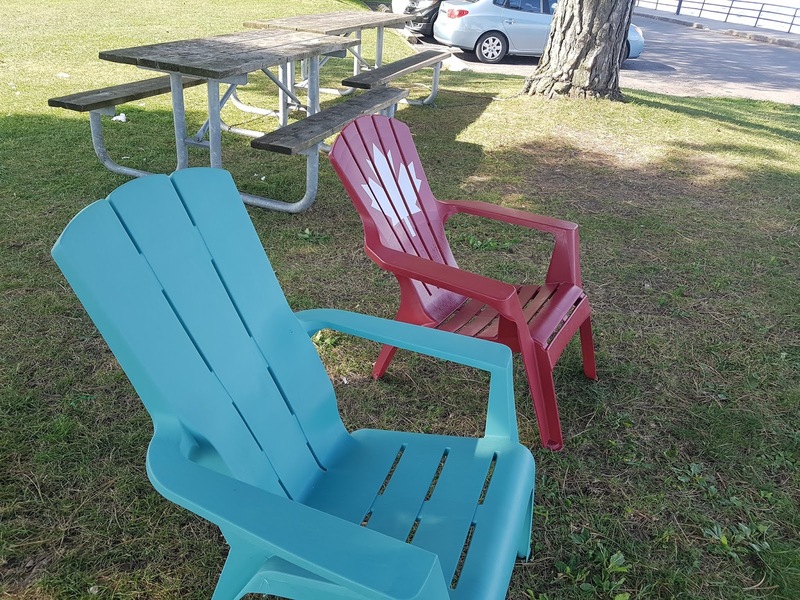 Last year, we saw an intriguing post on social media. 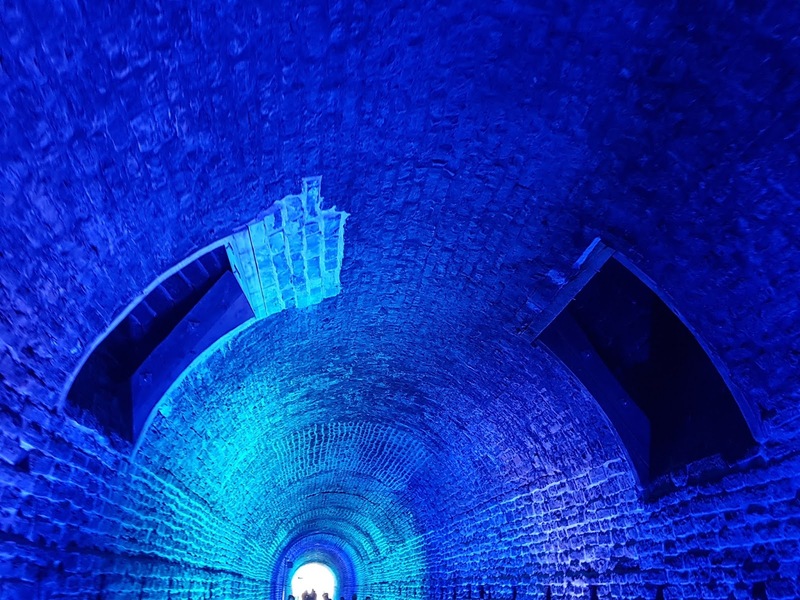 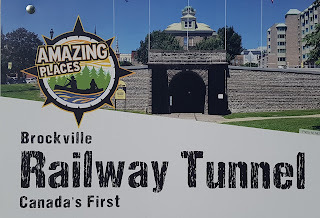 Our friends, John and Dianne, had visited an old railway tunnel in Brockville, Ontario, and were raving about it. 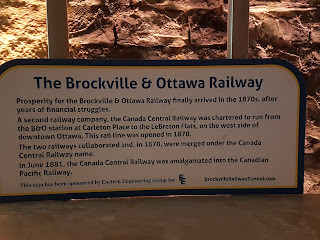 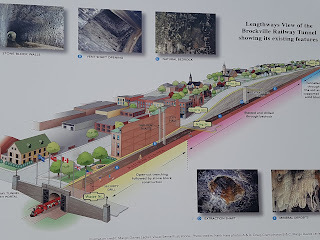 At the mention of railways, my interest was piqued, and Mark did some research and promptly placed the Brockville Railway Tunnel on our bucket list. Yesterday, we gave ourselves the tunnel experience, but - as usual - discovered much, much more when we explored the town of Brockville, itself. 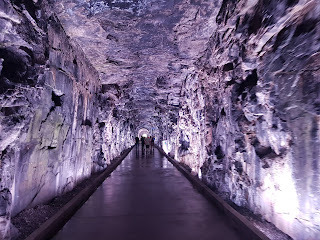 After parking near the tunnel, we started by fulfilling a basic need - the call of nature! 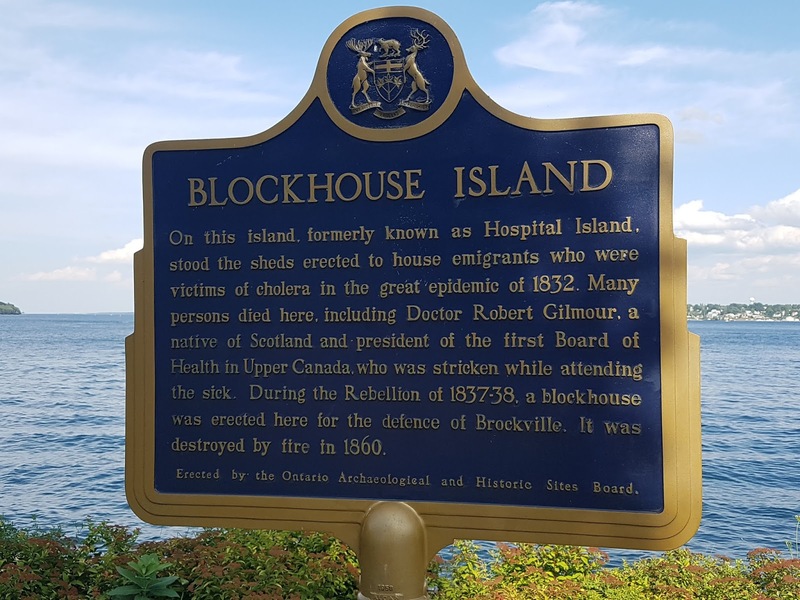 The destination of relief was located on Blockhouse Island, just a few strides from the car. Emerging more comfortably (😊), we decided to explore the little island before heading to the main attraction. Blockhouse Island, formerly known as Hospital Island, juts out into the St. Lawrence River. 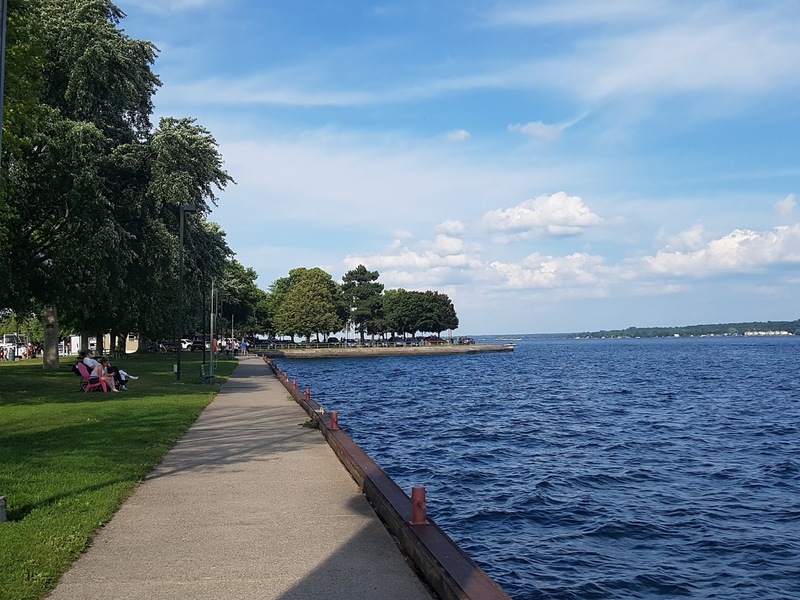 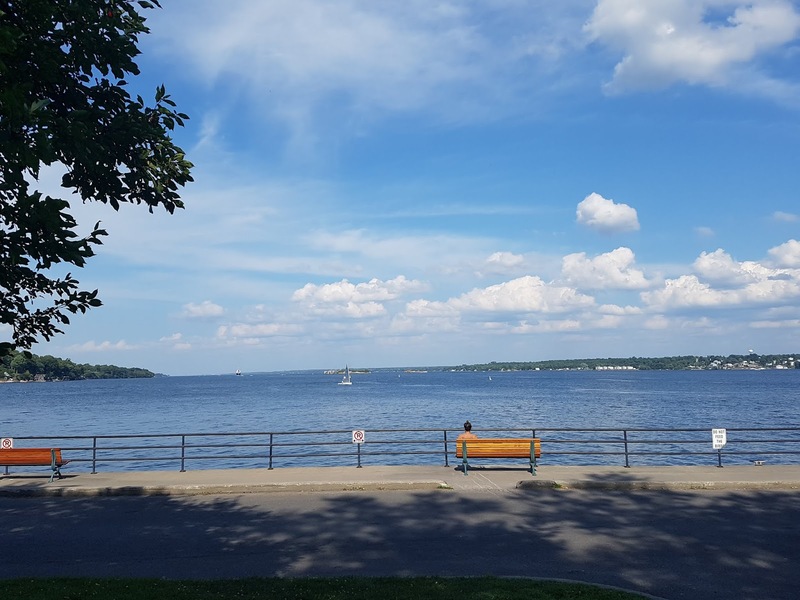 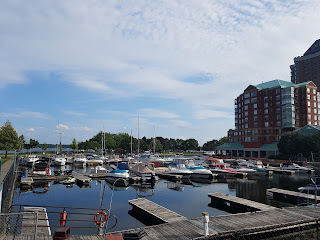 The waterfront in Brockville is a pleasure to see and experience. 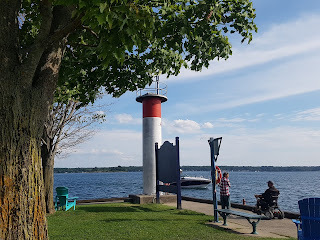 The island is a great place from which one can watch the cruise and cargo ships plying the waters of the International Seaway shipping channel. In fact, a huge tanker was just passing when we arrived. A central attraction is The Crow's Nest Bistro, an open-air restaurant right next to the quay where the 1000 Islands and Seaway Cruises embark. 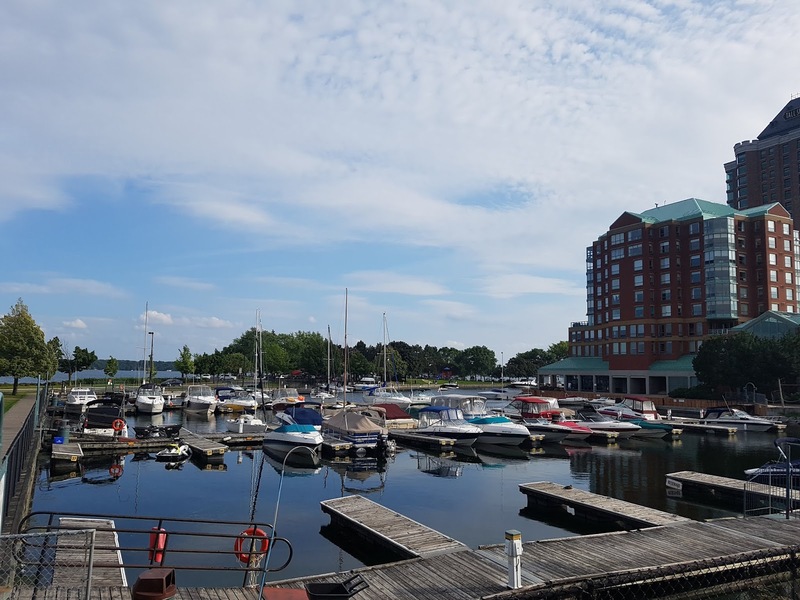 With the marina on one side, and the open waters of the St. Lawrence Seaway on the other, it makes for a pleasant repast, or a casual cup of coffee, while enjoying the surroundings. We decided to walk around the perimeter of the islet (about a 10 minute stroll) and were delighted to see so many Muskoka chairs dotted around the park, all of which had been donated to the town. 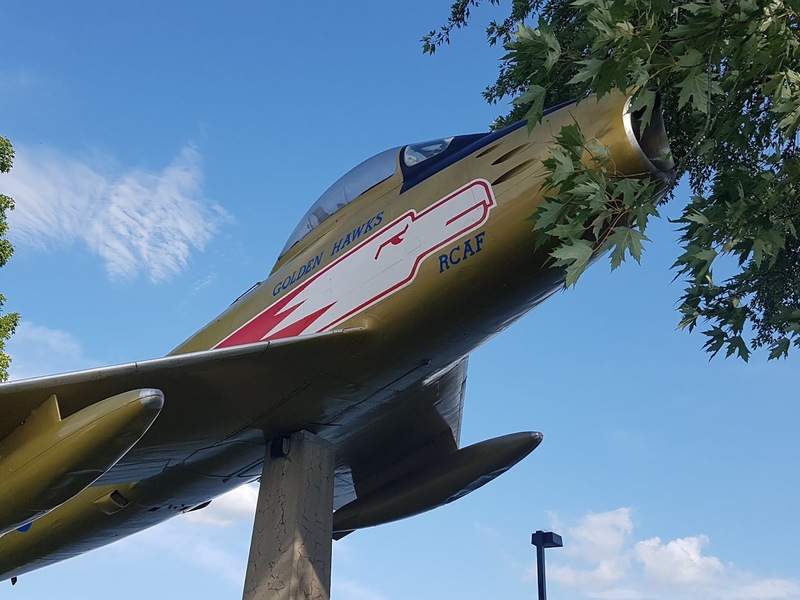 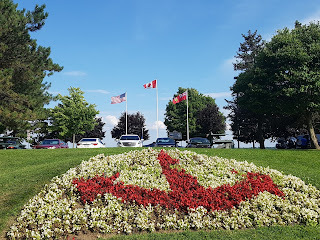 There are a few features that stand out - the light beacon at the end of the park, a replica of an RCAF warplane, a flower display showing an anchor, and a beautiful memorial dedicated to women who have suffered from violence. 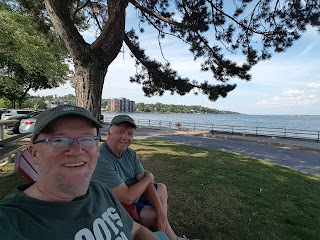 We spent about half an hour just enjoying the park, and taking advantage of the Muskoka chairs, while sitting in the shade. 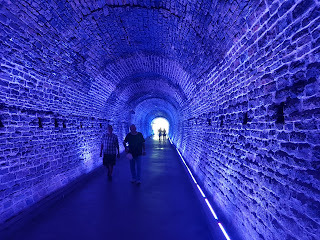 We were now ready to explore the tunnel. 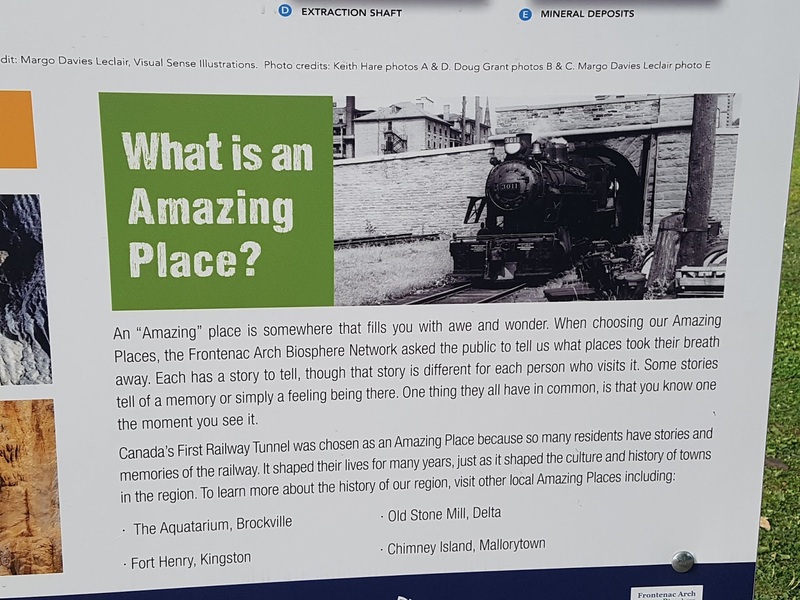 This is an interesting (or as a sign indicated) - an amazing place! Canada's first railway tunnel was completed in 1860 after many controversial debates at council level. Many thought that it would be better, and more economical, to direct the railroad track around the town but, those in favour of constructing a tunnel that would go directly under the town on its way north, would win out. The town hall was erected above the tunnel shortly after it was in use. 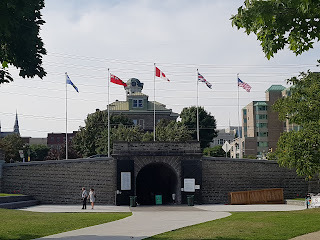 The tunnel was built to connect the growing port of Brockville and its industrial waterfront area with the outlying areas between the St. Lawrence and Ottawa rivers. It was in use until 1969. 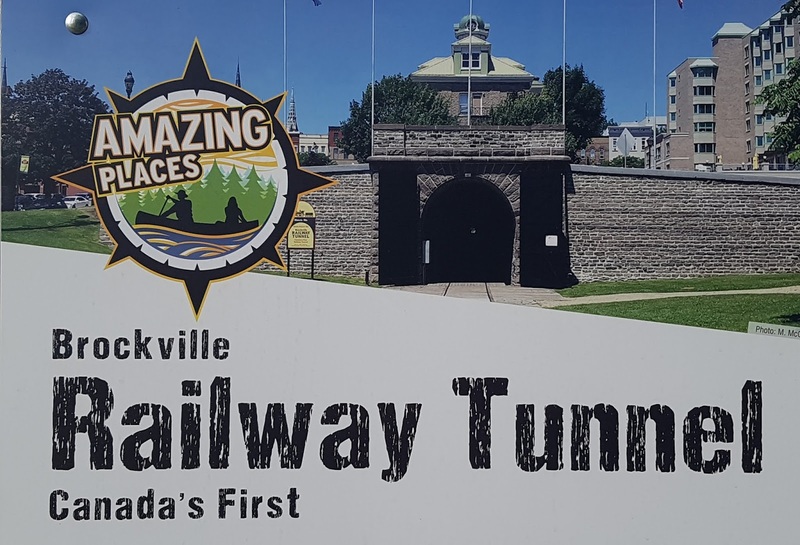 In 2017, the tunnel, which had been restored and repaved, was opened to the public as part of the Brockville trail system. 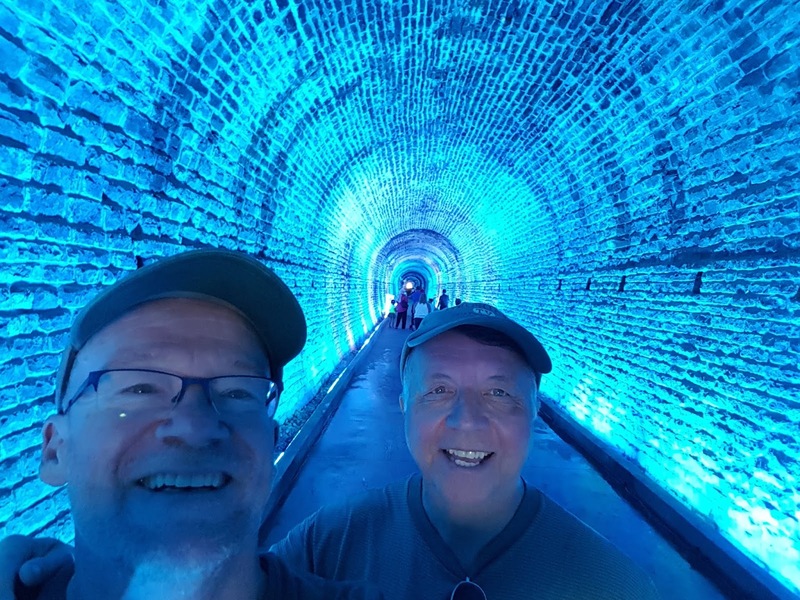 If you listen carefully, you'll hear Mark singing! We took a slow walk to the other end of the tunnel, taking in the different colours in the mineral deposits that had been accentuated by the running groundwater. 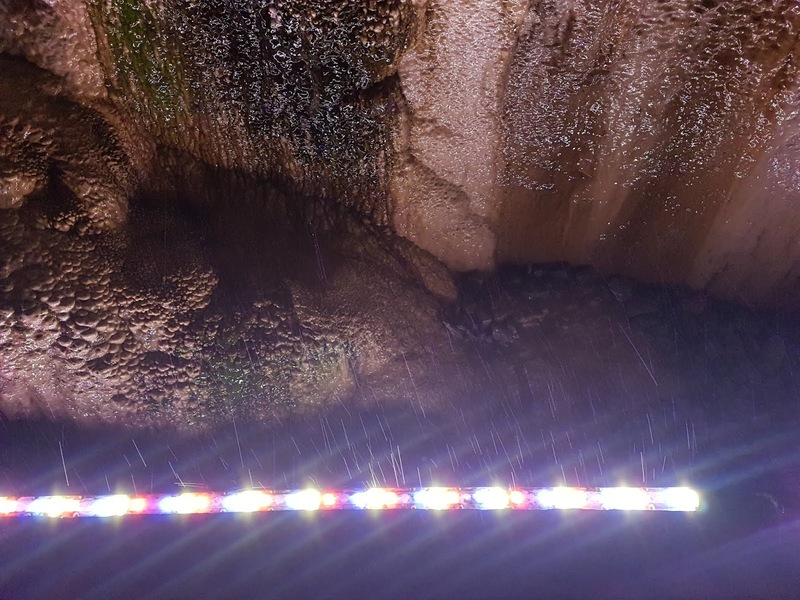 Even without the coloured light display, the rockface on the side and above was fascinating. 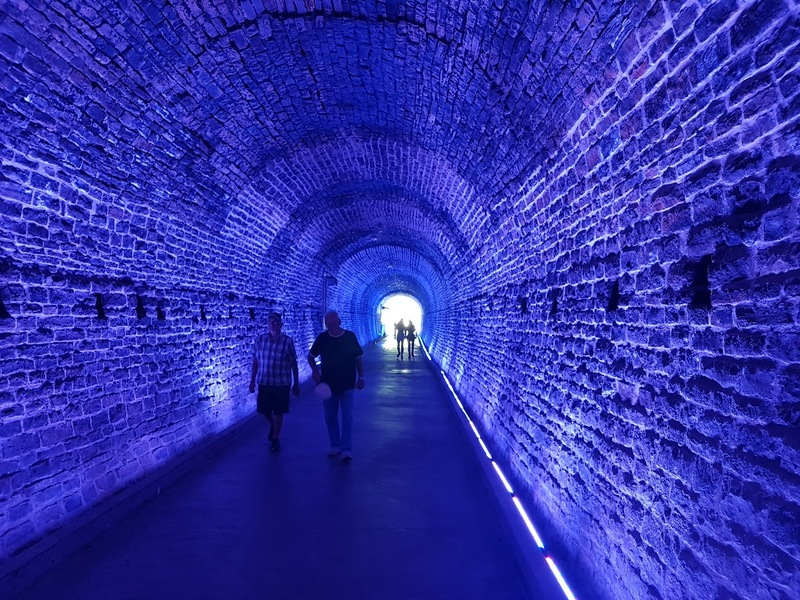 At one point, a ring of red light traveled the entire length of the tunnel, accompanied by the sound of a passing train, giving the visitor a taste of what it would have been like, back in the day. 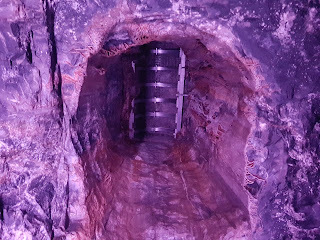 The tunnel had ventilation shafts to help dissipate the clouds of steam and smoke, and there was an extraction shaft halfway along which provided access during the blasting process during construction. 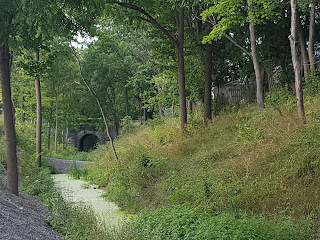 Apparently, there are plans to extend the walking trail beyond the tunnel, through a second tunnel along the gorge at the other end. 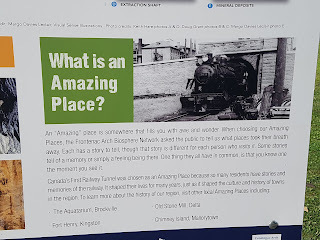 All in all, it was an excellent, educational experience, and one that we would recommend to anyone visiting the area. 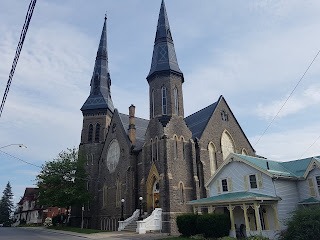 Attracted by the unusual spires of a couple of churches in the town (when we were parking), we resolved to explore some more before leaving. 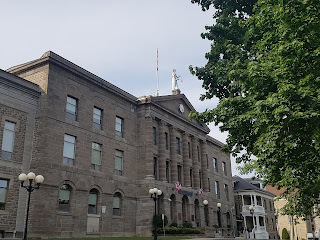 We're so glad we did, as we came upon some wonderful architecture in what would appear to be the 'legal' area surrounding the Court of Justice. 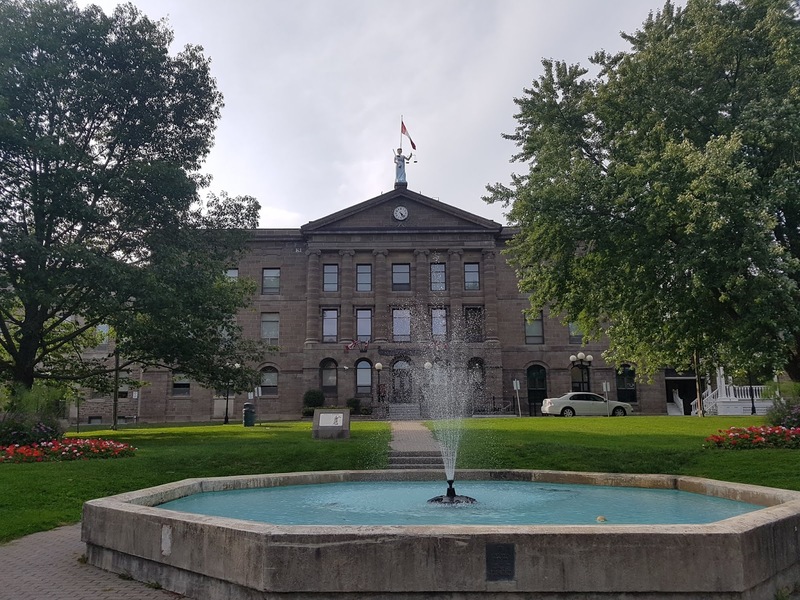 Fronted by green space, the Courthouse stands proudly as a reminder of the past - both in its style and in its scope. 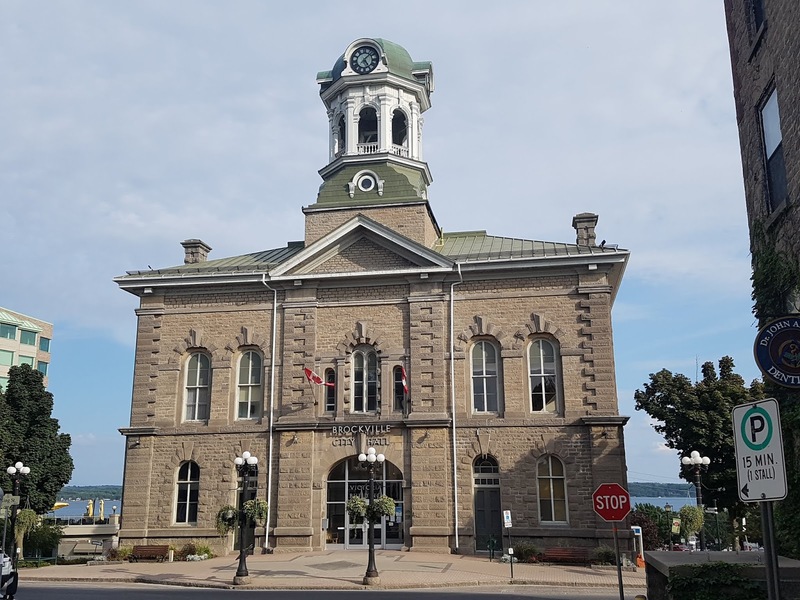 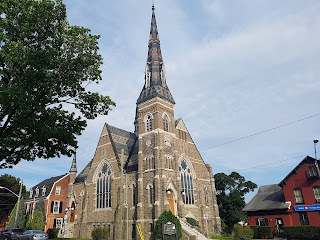 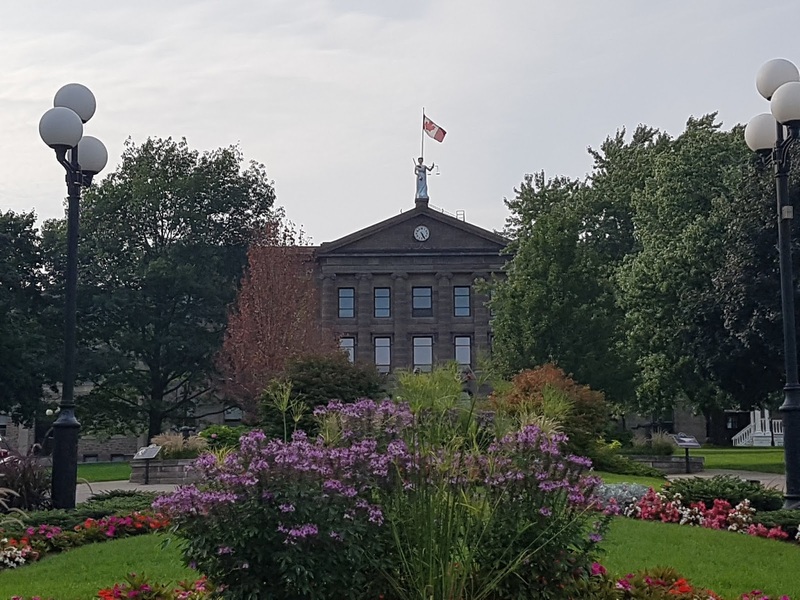 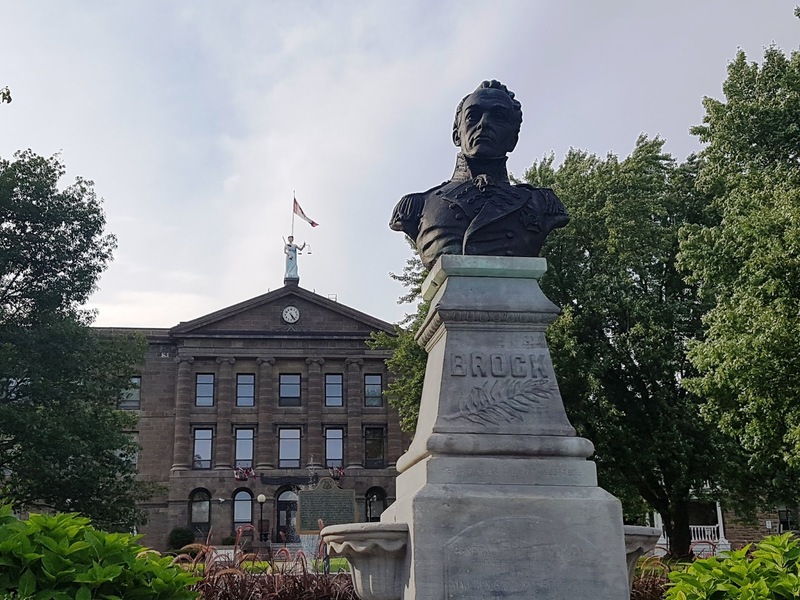 It was here that I found out that Brockville was once called, Elizabethtown, and that it was renamed after Sir Isaac Brock - a Canadian hero from the War of 1812. 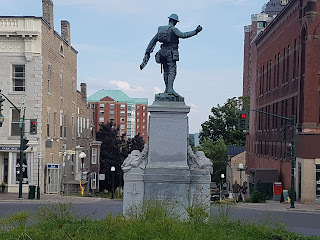 From the simple, but impressive war memorial, to the delight of the surrounding buildings, and the display of well-kept flowerbeds, the diversion was well worth the extra hour we spent in the town before heading back to Kingston, where we are staying. Always open to surprises in our journey through life, we discovered the treasure of another town and were glad that our 'tunnel vision' expanded to embrace it! 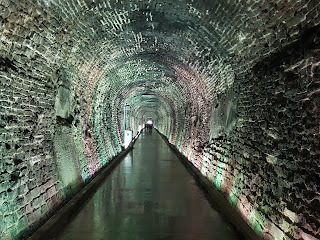 If you are REALLY FASCINATED by this tunnel, check out the short slide show of street signs below and above the tunnel. 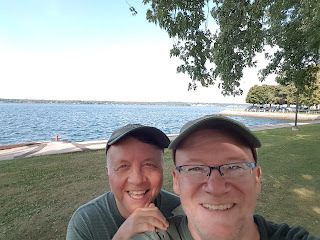 (You may not be able to see this on a tablet, ipad, or cell phone).